To be honest, I'm not much of a meal planner. Even when I try I don't always stick to it because it doesn't sound good that day or I don't feel like cooking. However, doing Bountiful Baskets has held me to a bit a meal planning more than anything else has in the past. Probably because I never know what we're going to get (besides a giant head of romaine and bananas it seems) and I hate to see things go to waste. It also gives me new things to try that I wouldn't normally buy myself. 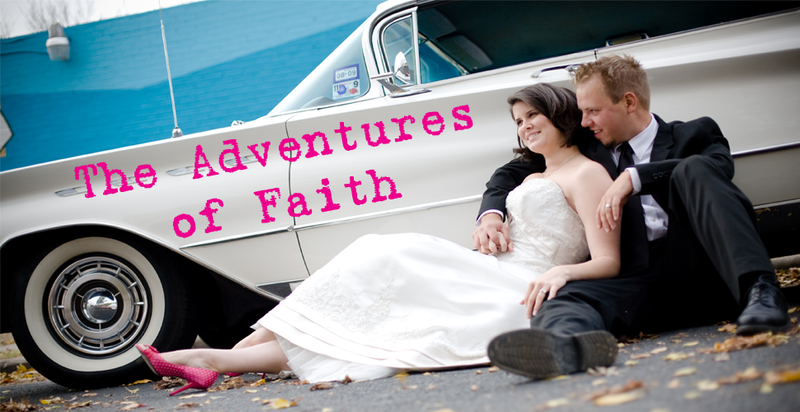 So here's what we have going on. I'm not going to list them by day because I know I won't stick to that order. Also, I usually make dinner Sun-Thursday, sometimes on a Friday and we usually eat out on Saturday and the Fridays I don't cook. Usually another eat out day is found during the week because I get lazy. Hopefully having 5 set dinner ideas will cut out the extra eating out day though. Seriously, it tasted just like Chilis and I LOVE their queso. I'm not going to lie when I said screw the 20 minute simmer, it's hot enough and devoured half a bag of chips while I stood over the stove. Then to tell myself I couldn't JUST eat chips and queso for lunch, I made a baked potato and topped it with queso. Don't judge me. 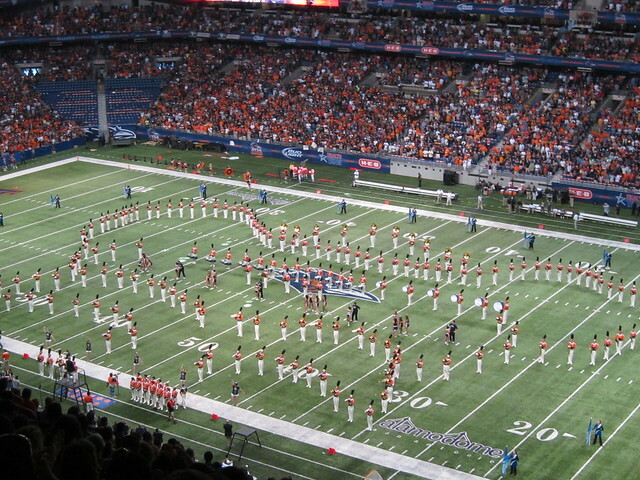 And one just for fun that I had forgotten about and came across. I never really posted about our coop and all the work that we had to do to get it started so here it is! Our backyard is not even in the slightest bit. The "flattest" part of our backyard is currently being taken up by my garden. 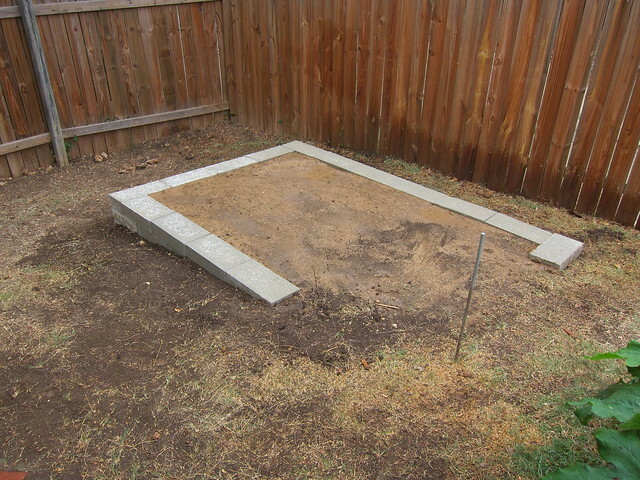 In order to put a coop in the backyard we had to even out the area where we wanted to put it. 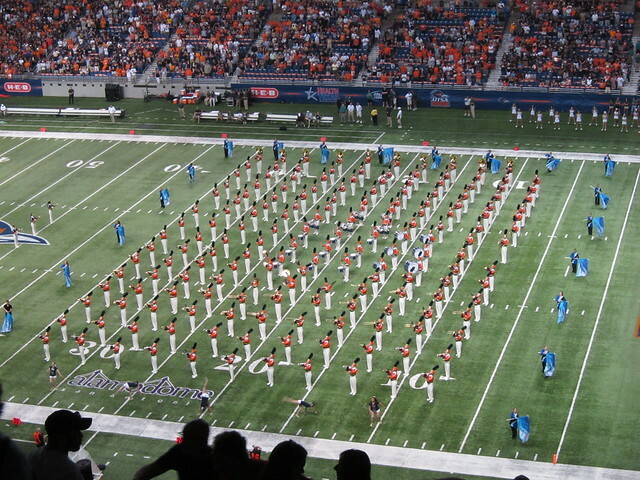 I think it took a full cubic yard of dirt to fill the space. All which I shoveled, bagged, stuck in the back of my car and hauled to the back yard in two different trips since we don't have a truck. Backbreaking work for a couple of chickens. We actually ended up buying a prefab coop. I had priced out building our own, done all the research and drawing up the plans and cost wise, buying prefab was the same price without all the time and effort. I got basically what I wanted to build. It's not as sturdy as something we would have built, but it probably also saved us from killing eachother over such a big project. Some changes we have made to the structure - buying the add on nesting box that hangs off the left side. We also installed a latch on it so a crafty raccoon can't just lift the roof off. The top door was a storage area. I took the floor boards out and just left this space open. 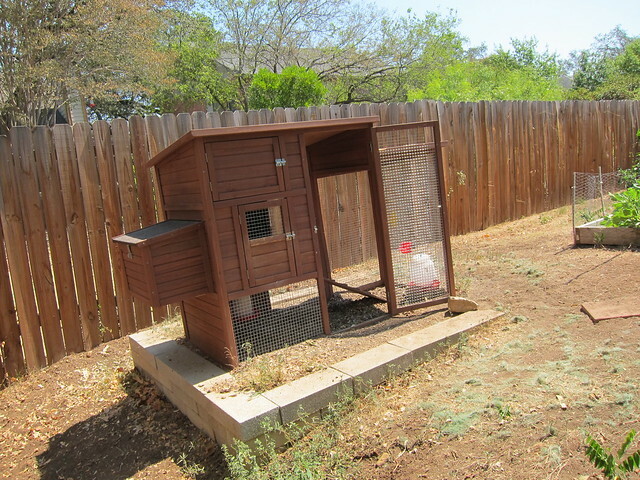 It didn't seem like there was enough head space inside the coop for them plus the two roosts were very low to the floor. We took one out and are going to make one that runs longways and higher up to give them another place to roost during the night. 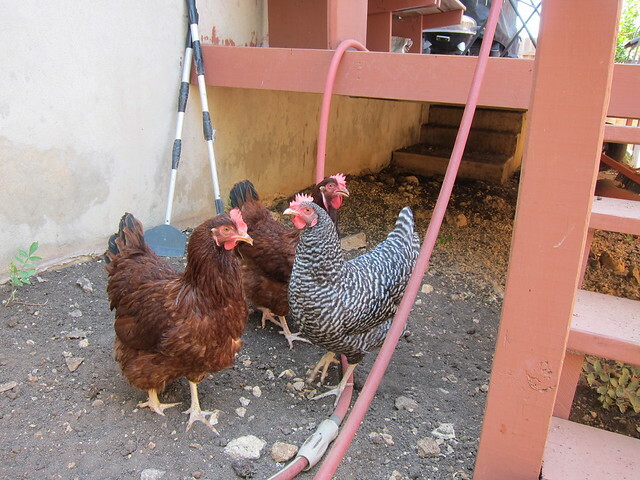 We also added hooks under the floor of the coop in the run area to put the hanging feeder and waterer. The waterer was really too big and hung so close to the ground that they kept knocking dirt and poop into it. 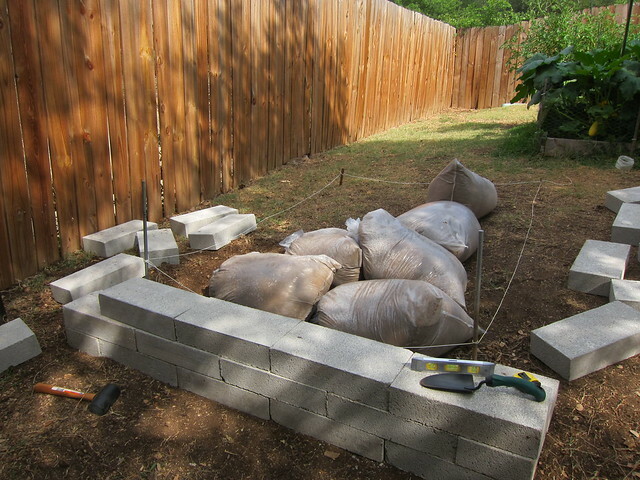 Plus this area is shady all day so moving the waterer out to the run allowed them a bigger shady space during the day. We then placed it up on bricks to keep them from kicking stuff into their water. I also added a little hanging bird feeder next to waterer where I keep crushed oyster shells. This gives them extra calcium if they want it. 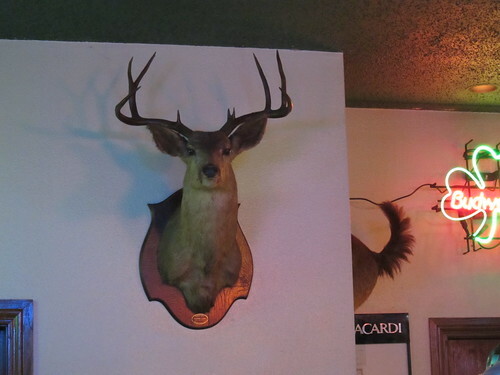 There's also a yellow tree air freshener hanging on the wall of the run if you look closely. I use what's called the deep litter method inside the coop (I also installed a kick board in the doorway to keep them from kicking the shavings into the run). 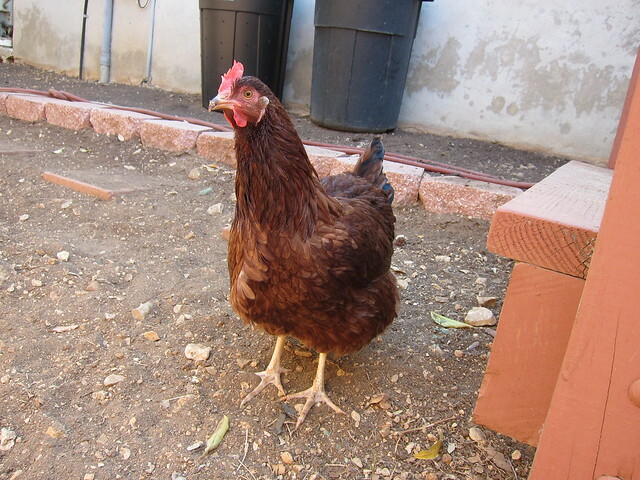 I use food grade diatomaceous earth in the coop and in the run. 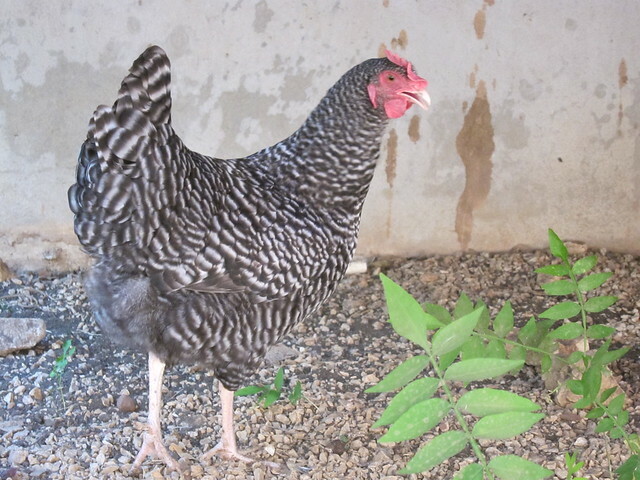 However, even regular sprinklings of DE in the run wasn't helping curb the fly problem (they weren't really in the coop at all). I'm not sure if the excessive heat we've had also had something to do with it or not. I read online that throwing a couple of vanilla scented air fresheners into the run would help and it did. The fly population is almost nonexistent now. 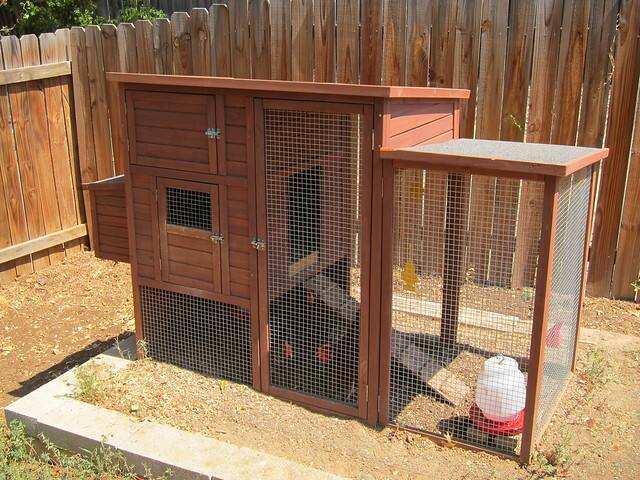 I also added an extra layer of waterproofing to the exterior of the coop, something online reviews recommended. I also plan on installing metal sheet roofing to the top. The black asphalt roof can make it really hot so I think it'll help reflect some of the heat. 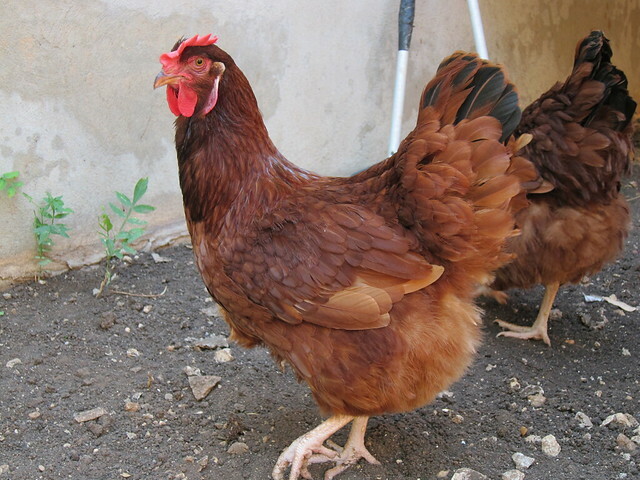 Things you have to consider along with the type of breeds you raise if you're going to have chickens in Texas. The chickens are all doing great. 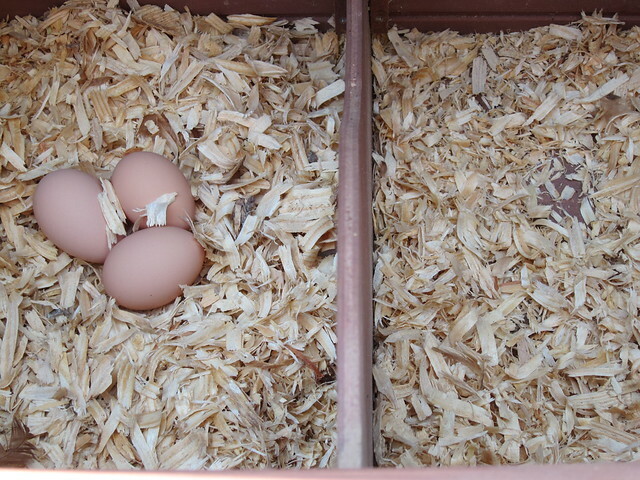 All three have finally started laying. They have a lot of fun running around in the yard every evening. 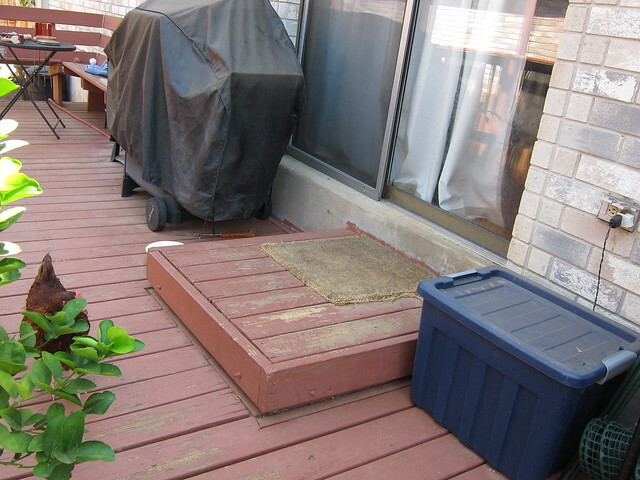 John threw lots off treats off the deck in this spot while I was in Indiana so it's their favorite hang out. They're grown a lot since I got them in May. They love to dig around in the dirt, eat strawberries, yogurt, any fruit or veggie I throw out to them, and any bugs that cross their path. 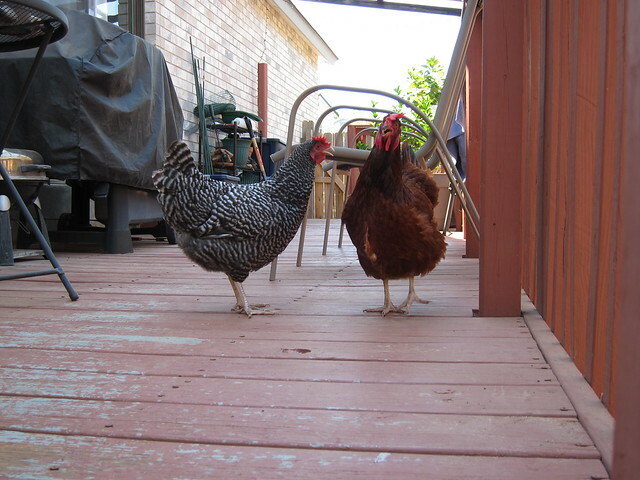 They're very curious and think it's awesome to wander up onto the deck. They'll sometimes even wander by the back door and torment the dogs. 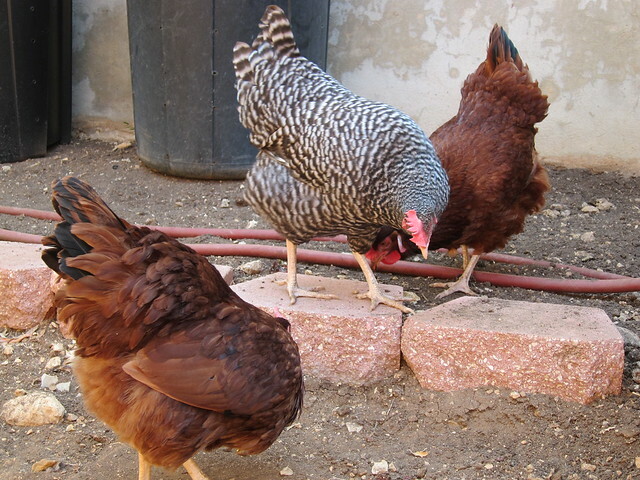 They're a lot of fun to just watch and I love finding chicken tracks all over my backyard. Yeah, this post is a week old, but I'm probably going to be posting things that are older than a week if I can finally find the time. 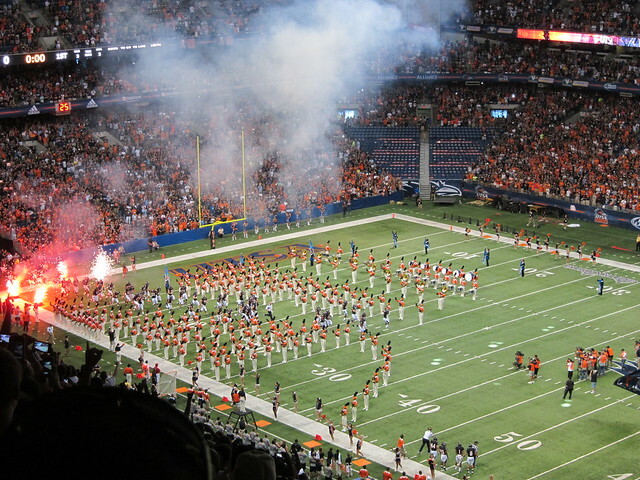 Last Saturday was the opening game for the UTSA football team. 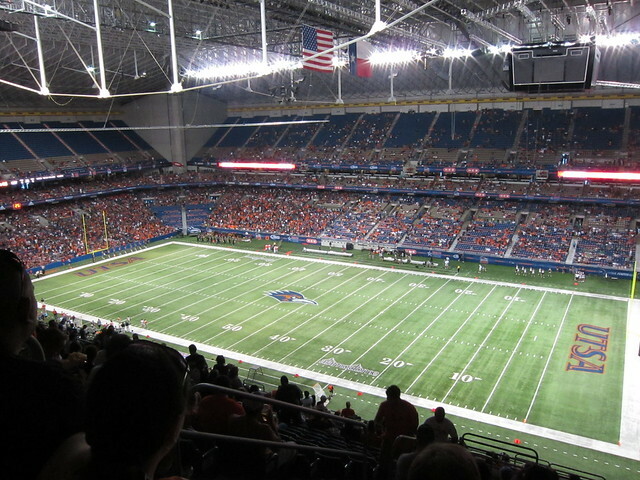 I'm not a fan of college football and while I went to UTSA for grad school I wouldn't say that I had any school spirit (I bought the ticket through Living Social). 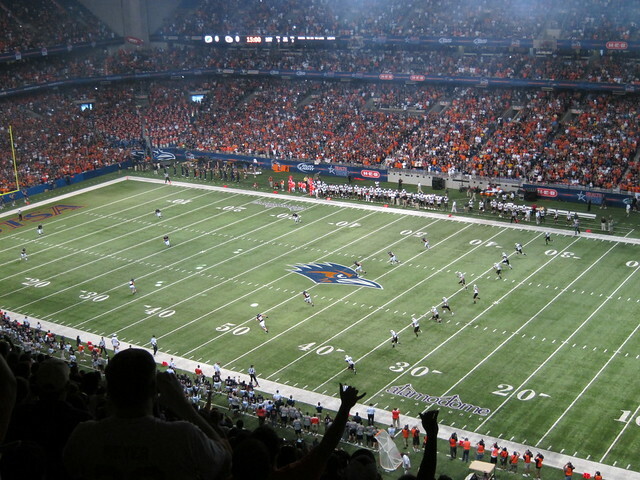 It was fun to go to though and UTSA ending up winning again Northeastern State 31-3. 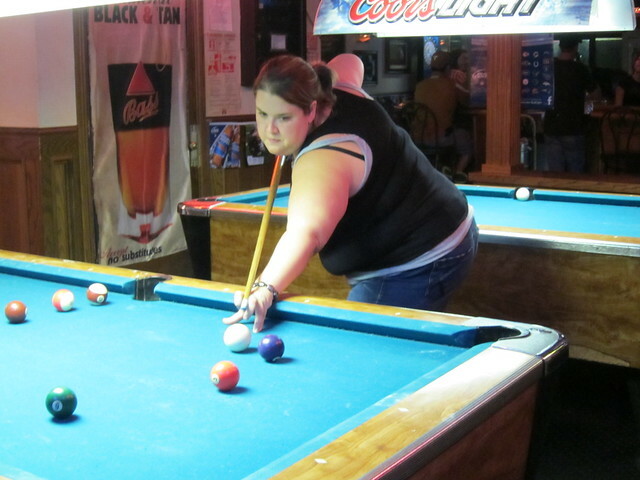 Hung out with friends and played some pool. 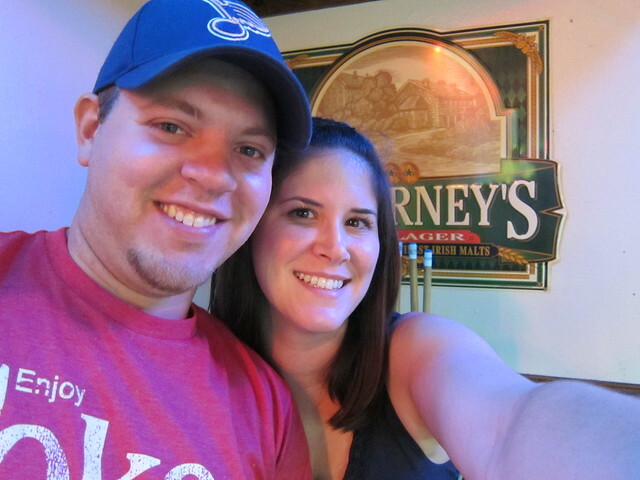 It was a great start to nice long weekend.